A baby develops its fine and gross motor skills by interacting with its environment. As a mother, you do everything to help the baby’s development such as play with it, talk to it and show it various sights for it to get its bearings in the world. A baby can lift its head when it is about 1 month old and hold its head up in a sitting position by 4 months of age. They gain the motor control of their neck muscles to hold their head steady by 6 months. All these are evolutionary stages to gain control of their body so that they can interact with the world. The next stage is to be able to interact with their peers. They need to be upright for a better purview. Here are the best baby floor seats to support your baby’s growth. When you sit with your baby and support it to play, what is the first thing you do? You ensure its head is higher so that it can see more. And support it in seating itself so that it can free its hands to interact with the surroundings. You will note that the best baby floor seats help support your baby’s seated posture. These mimic your lap for the child as they support your baby’s yet to develop back muscles with their deep seat and a high back. 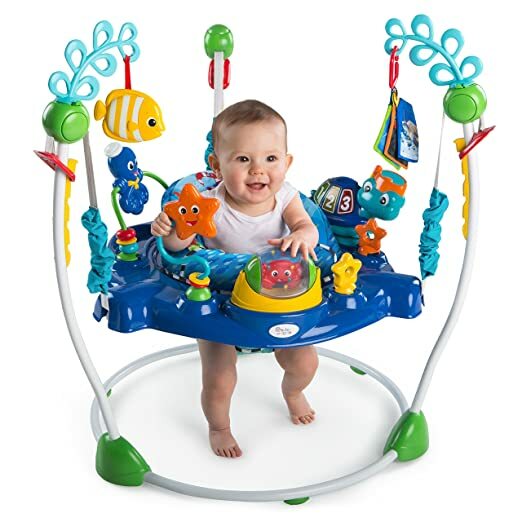 You can replace your lap and arms with one of these best baby floor seats while you get your chores done, choose a bouncer or baby swing. Babies like to be swung gently and bounced, these floor seats serve the baby’s pleasure. Most of these floor seats come with playset arches that help your child achieve their developmental milestones such as grasping, holding, rattling, etc. The toys may be textured to help them develop their fine motor skills, such as know the difference between soft, squishy, velvety, etc. Teach your child about colours and shapes with these colourful toy ensemble. Or you could simply let your baby floor seat provide entertainment for him while you are paying bills online or folding laundry. There are other seats that may come with a pommel between the legs to prevent the little one from slipping off. The safety strap and buckle replace your restraining arm to hold the baby in place and prevent it from spilling from the seat. Other seats may have a recliner with a sturdy support that helps your baby sit up or recline comfortably. They even come with detachable trays where you can feed your little one while they play with the toys. It is so much easier to feed them while they are busy with the playset. Some of these make delightful squeaky noise that attracts the baby’s attention and is vital for their sensory development. These features get activated by some action by the child that make them wonder and get busy with seeking the source of the sound. As these floor seats are so helpful in keeping your baby happy they should go everywhere with you. This means they should be portable and easy to carry with you everywhere; they are foldable, light and can be stored anywhere. This has a removable electronic turtle station with coloured lights, varied sounds, and language discovery that introduce numbers and colours in English, Spanish, and French. It comes with a crab spinner ball, an octopus paddle, and a starfish with self-discovery mirror. It has flashcards and toys. It can be adjusted to 4 height positions while the seat rotates 360 degrees. The Item Weighs 7.8 pounds and it is 21 inches in length 16 inches in breadth and 6 inches in height. It is a portable baby seat helps baby sit up. 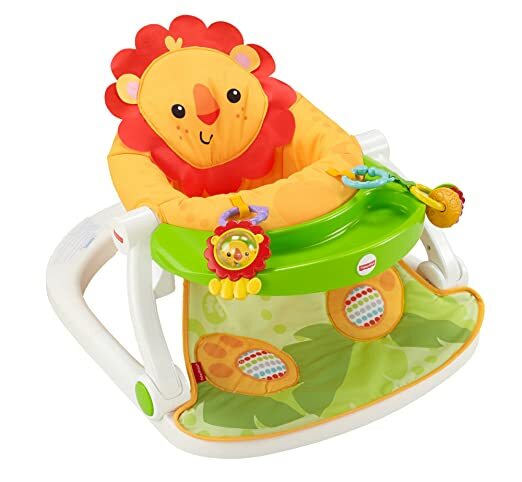 It comes with a soft fabric lion seat that is comfortable, supportive and washable. Comes with lion paw foot pads that activate squeaker sounds as the baby kicks. Comes with two linkable toys – a rattle and clacker rings. There is a removable snack tray. The seater folds flat for portability. This seat is a multi-stage seat positioner that transitions to a booster seat. In stage one, it is a stand-alone seat positioner with infant support and a soft foam insert. In stage two, it comes with a booster seat with a removable, dishwasher safe tray and toddler support. At stage 3, the booster seat can be used without the tray. It comes with a positioner, an activity seat, and a booster. This is a 3-stages seater hence also comes with a soft foam support seat, an activity seat, and a booster seat with chair straps. 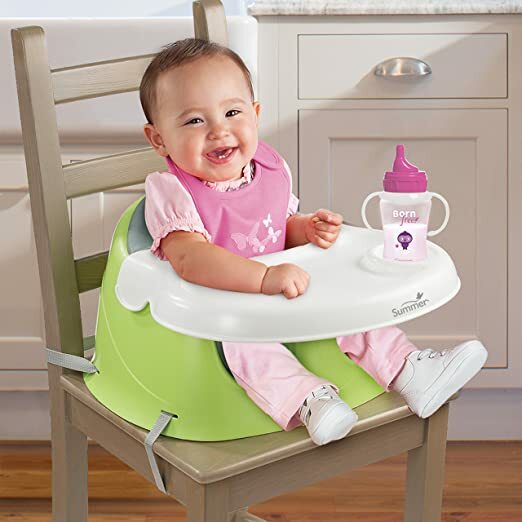 The soft foam insert adds to the comfort and helps the baby sit upright. There is a 3-point harness for safety. It also comes with a 360-degree rotating toy tray and a removable snack tray with cup holders. The weight is 5.3 pounds and 20.8” in height, 15.8” in breadth and 5” in height. 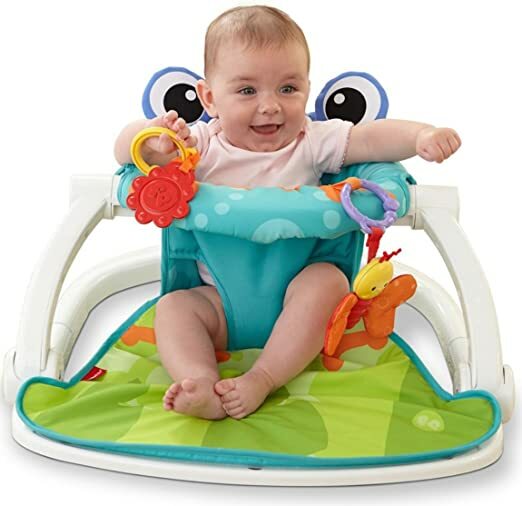 It is an upright seat that keeps the baby happy with two toys. As it is light, it can be carried anywhere and keep the baby happy on the go. It folds and can be stored in small spaces. The seat and pad are detachable and machine washable. The bar in the front does not have a cushion so the child may bang their head. The Baby Einstein Neptune Jumper is the best of the best baby floor seats. It has an ergonomically designed for the perfect development of the baby. Keep the body happy, engaged and entertained while helping achieve the developmental milestones for gross and finer motor skills. It comes equipped with multi-activity and multilingual activity station. 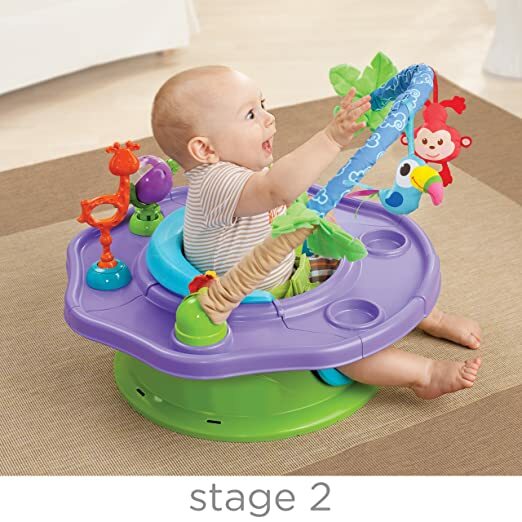 It comes with spinner ball and paddle to develop the gross motor skills. The mirror helps is a comparative study of self with others. Flash cards are a very important tool in learning. It can accommodate your growing baby as it can be adjusted to 4 height positions.